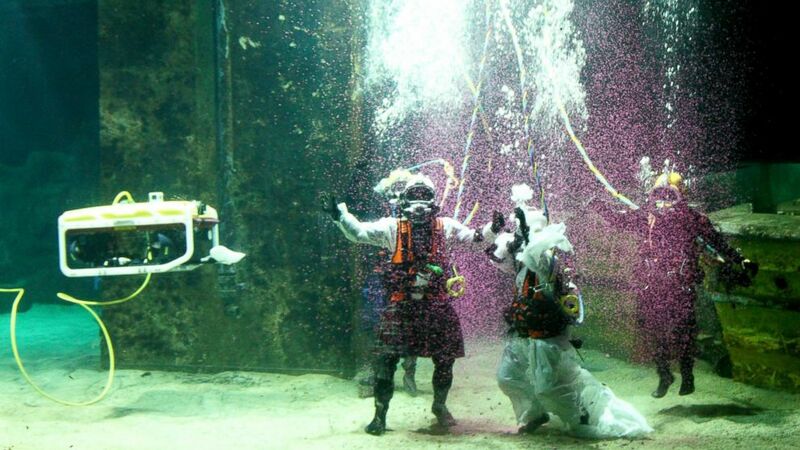 A couple in Scotland held their wedding Saturday underwater in a diver's tank. 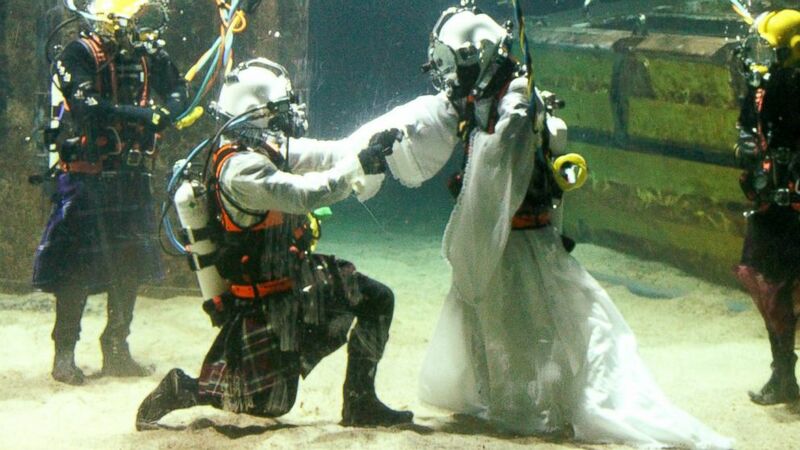 camera (HEMEDIA/SWNS) Dorota Bankowska and new husband James Abbott renew their vows underwater inside a diving tank at Fort William Underwater Center in Scotland, Nov. 22, 2014. The guests crowded around one another as they pressed their faces against the glass wall of the tank, decorated with subtle lighting and filled with an assortment of fish and a shipwreck in the background. But it wasn't the sea critters or the wreck that interested the guests. It was the wedding taking place. 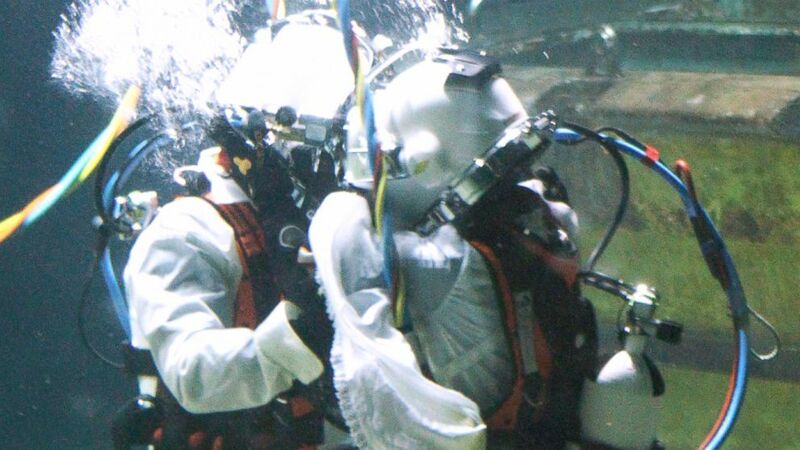 Diver Dorota Bankowska, 37, made her workplace an altar on Nov. 22 when she and her husband, James Abbott, 39, tied the knot approximately 13 feet (four meters) below the surface in a tank at The Underwater Centre in Fort William, Scotland. "I was coming in with the lovely music in the background and I could see all the faces looking at us from behind the window," she told ABC News. "I have to say that the whole wedding under water was amazing." 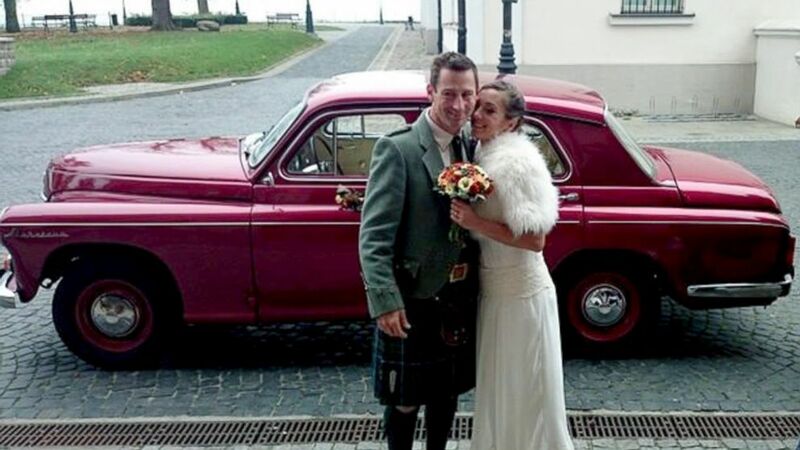 The two originally married last month in Plock, Poland, where Bankowska is from. This time, they exchanged vows and rings for the second time in front of about 100 guests. The rings were specially designed for the underwater conditions. "I wanted something unusual to make this day special," Bankowska said. "I also wanted to show my friends and family what I’m doing for a living, because normally you cannot see." (HEMEDIA/SWNS) Dorota Bankowska and new husband James Abbott renew their vows underwater inside a diving tank at Fort William Underwater Center in Scotland, Nov. 22, 2014. The two, along with best man, Charlie Cran-Crombie, and Bankowska's sister and maid-of-honor, Alicja Bankowska, wore dry suits below their wedding apparel to keep them dry and warm in the 42-degree water. Diver trainer Ali Macleod performed the ceremony. 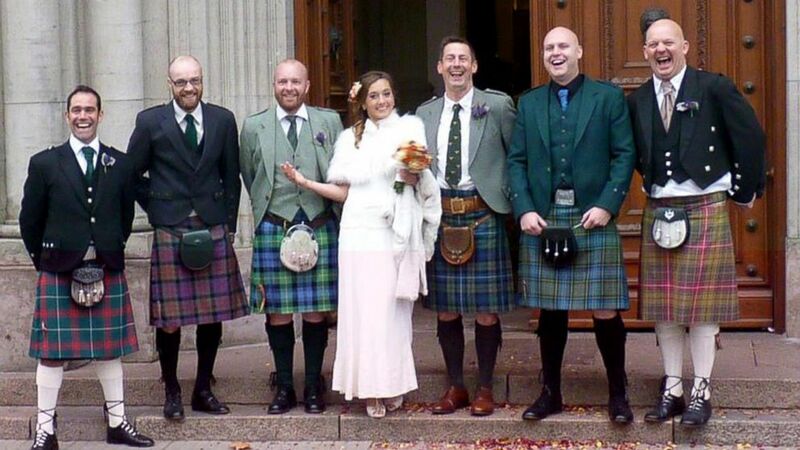 The men were dressed in traditional Scotsman gear, sporting jackets and kilts, while the bride wore a traditional wedding gown and her maid of honor wore a simple dress. Abbott sewed small weights into the wedding gear to help weigh them down during the ceremony. The groom could not be reached for comment. Diving equipment was supplied, along with helmets containing communication systems for the bride and groom to speak with one another and for the guests to listen in on the ceremony. The ceremony also featured a remotely operated vehicle that was used to film the entire event. "We don't think anyone else has ever celebrated their marriage using surface-supplied diving equipment before, although it has been done using SCUBA equipment in the past," Olivia Gemmill, the marketing manager of the centre and a wedding guest, told ABC News in an email. "And we doubt anyone has ever celebrated their marriage with an ROV in the water with them." (HEMEDIA/SWNS) Dorota Bankowska and new husband James Abbott on their wedding day. Bankowska is a saturation diver, a profession held by only a handful of women. She is certified to explore depths 50 meters and below. She mainly works around the North Sea, helping to maintain pipelines and other under water structures. She became certified in 2007 after training at The Underwater Centre. Abbott and Bankowska were introduced to one another in 2010 through mutual friends and bonded over their love of outdoor activities, including rock climbing, kayaking and canoeing. "We are really pleased that we were able to help Dorota fulfill her dream of a blessing in the tank," said Gemmill in an email, adding that it's "very typical" of Bankowska to do something like this. "We wish her and James every happiness for the future." The two are currently separated by work commitments with Abbott, an outdoors teacher, down south of Birmingham, England, and Bankowska back up north. They are currently planning for a honeymoon sometime over the Christmas season in either Norway or Vietnam.